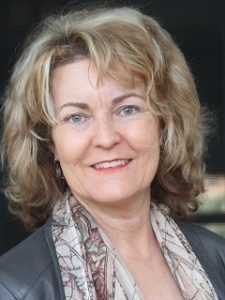 Cat Sparks is a multi-award-winning Australian author, editor and artist whose former employment has included: media monitor, political and archaeological photographer, graphic designer, Fiction Editor of Cosmos Magazine and Manager of Agog! Press. She’s currently finishing a PhD in sci fi and cli fi. 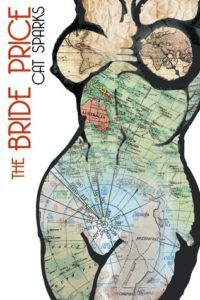 Her short story collection The Bride Price was published in 2013. Her debut novel, Lotus Blue, will be published by Skyhorse in March, 2017. 1. What do readers need to know about Cat Sparks? That I am an enormous Sci fi nerd, always was and probably always will be. Which isn’t to say that I don’t dig other genres and non-fiction, only that for me, inevitably, all roads lead back to the future. 2. Which story of yours would you recommend to a new reader? I consider this my most skillful and accomplished piece of fiction to date. It’s a cli fi story set about 20 years from now which features one of my favourite concepts: weaponized weather, and is positioned very early on in the timeline and backstory to Lotus Blue. 3. Who are your literary heroes/influences? I so admire the brute, alchemical power of accomplished writing. The kind of skill it takes most practitioners years to develop and hone. Writers such as David Mitchell and Margaret Atwood manage to blend the gosh wow engagement of storytelling with the cadence and fluidity of poetry. Pretty damned impressive stuff. 4. You get to take five books and five movies when you are exiled to a desert island. Which ones do you choose? Books: David Mitchell’s The Bone Clocks, The Complete Adventures of Tintin (shut up, a boxed set totally counts as one title…), What Snake is That and Can I Eat It – a comprehensive idiot’s guide to desert island survival, Pride and Prejudice and Connie Willis’s Blackout and All Clear, which also totally counts as one title. Movies: North by Northwest, Raiders of the Lost Ark, Star Wars (the original), Five Million Years to Earth & Team America. 5. What was the inspiration for Lotus Blue? I’ve been attracted to post-apocalypse narratives since I was a kid so it was probably inevitable that I’d eventually try my hand at writing one. In the 90s I volunteered as a photographer on a series of archaeological digs in Jordan. The villages near the dig house where we lived hadn’t changed much in a thousand years. Dig work was hard and rough, the landscape primitive and surreal, especially to a city gal like me not accustomed to getting her hands dirty. The mix of the old and the new world caught my attention: Bedouin living in tents with colour televisions and other mod cons. Oftentimes the landscape had a post-apocalyptic feel to it. The team was excavating Bronze Age sites, but I wouldn’t have been surprised had something utterly alien and inexplicable been unearthed. 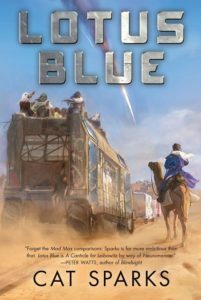 These experiences, coupled with the imagery of Frank Herbert’s Dune, a book I adored as a teenager, and half-remembered classroom tales of European explorers starving to death in the Australian outback surrounded by food sources they couldn’t recognise, led me to Lotus Blue and its dead red heart. 6. Can you pinpoint a place in your career timeline when you had a writing epiphany that helped you move forward? There have been a few small, yet impactful moments. Here’s one: I recall a few years back walking into my study and noticing for the first time just how many entirely filled, hand scrawled legal pads were teetering in towers, how many dog-eared books, how many scribbled-on scraps of paper scattered across the floor like autumn leaves. Me standing in the doorway comprehending that this was the end point. I wasn’t working towards a goal, I was standing in it. 7. Can you remember what story/novel made you think “I want to be a writer”? There was never a particular story, it was more a state of mind. Reaching the point of engagement with the spec fic genre where being a consumer was no longer enough. I felt the burning urge to be a maker, to become a part of the fabric of the conversation. 8. Short fiction or long fiction? As a reader, long, on account of the immersion factor. 9. How does Lotus Blue differ from your previous work? The novel took me somewhere around ten years to hammer into acceptable form, largely because I didn’t know what I was doing, having written short fiction for so long and not fully comprehending the vast technical differences between the two disparate forms.Lotus Blue started life as a secondary world fantasy under a different title. I binned at least 300,000 words across the decade. There is more of my own sweat, blood and gristle in Lotus Blue than in anything else I’ve ever written*. * I reserve the right to amend this statement after I’ve handed in my PhD. 10. What’s next for Cat Sparks? First up, I need to finish said PhD, which is running approximately a year and a half behind, unless I want to be a bit more honest with myself and admit that we’re probably talking two. Secondly, I need to learn to drive and get a freaking license. Last year my partner & I moved to a lovely wooden house on a hill in Canberra where public transport is as rare as rocking horse poop. Then finally, I would like to start work on a sci fi thriller set in the present day. I’ve got the idea sketched out already, just haven’t had the time to get stuck into it. This entry was posted in News and tagged All Clear What Snake is That and Can I Eat It, Blackout, cat sparks, Connie Willis, David Mitchell, Dune, Five Million Years to Earth, Frank Herbert, he Bone Clocks, John Joseph Adams, Lightspeed Magazine, Loosed Upon the World, Lotus Blue, margaret atwood, North by Northwest, Pride and Prejudice, Raiders of the Lost Ark, Skyhorse Publishing, Star Wars (the original), Team America, The Bride Price and Other Stories, The Complete Adventures of Tintin. Bookmark the permalink.